A new Quinnipiac poll in California finds Joe Biden is the leader of the Democratic pack with 26% support, followed by Bernie Sanders at 18%, Kamala Harris at 17%, Pete Buttigieg at 7% and Elizabeth Warren at 7%. A new St. Anselm College poll in New Hampshire finds Joe Biden leading the Democratic presidential race with 23%, followed by Bernie Sanders at 16%, Pete Buttigieg at 11%, Elizabeth Warren at 9%, Kamala Harris at 7%, Beto O’Rourke at 6%, Cory Booker at 4% and Amy Klobuchar at 2%. 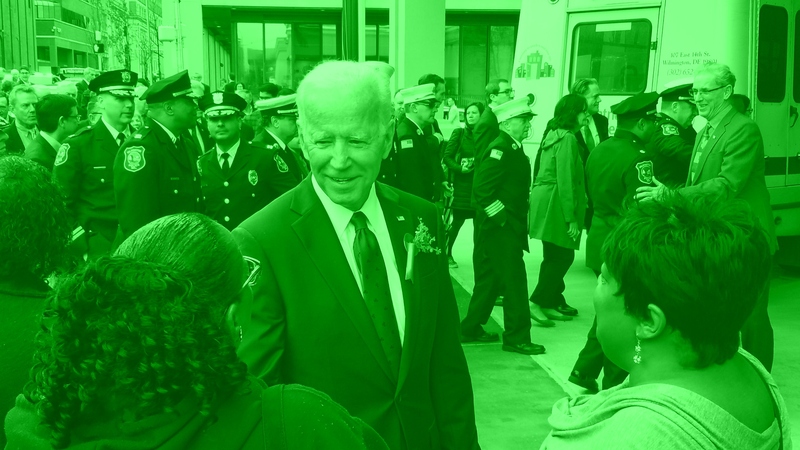 Biden plans to announce his White House run toward the end of April (likely after Easter, which falls April 21), Axios reports. A new Siena poll finds Rep. Alexandria Ocasio-Cortez (D-NY) has a positive 52% to 33% favorability rating among voters of her district nearly three months into her first term in Congress. A Quinnipiac University survey of California voters released Wednesday morning found that two thirds of all voters and two thirds of women in the state say allegations that Biden inappropriately touched a number of women in a nonsexual way are “not a serious issue.” Fully 71% of California Democrats said the same in the poll. In the latest weekly survey from the firm, Joe Biden and Bernie Sanders were the top candidates across Democratic voters overall, but when the data was broken out across gender, women voters backed several of the top women candidates at higher rates than male voters. Biden and Sanders still led the field among women voters, but the third and fourth place were now occupied by Harris and Warren. Good. I won’t vote for him nor give him any money, and I pray no one is dumb enough to support the performance artist rock throwing crank. We learned nothing from Reagan, he was obviously senile in his final year or so, now we contemplate putting yet another even older man in the White House. At this point I suspect much of Joe and Bernie’s draw is based on name recognition, hoping for the younger candidates to gain traction and perhaps take the lead. While there is a correlation between cognitive ability degradation and age, I’ve seen a large of number of people, politicians and citizens, who would qualify as fruitcakes at a very young age. For evidence, look at many politicians (and citizens) in the GOP and other fringe groups. Ageism, may not have it’s own #MeToo movement as other isms do, but just because no one is protesting in the streets doesn’t make it any less wrong. People should evaluated on their words and deeds, not the stage of life they have attained or yet to attain.